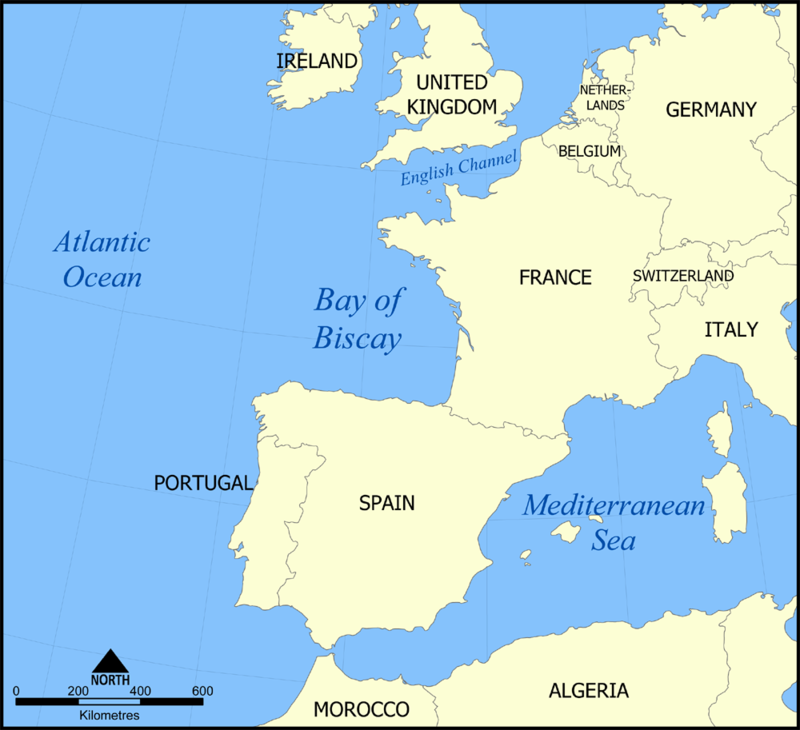 English: A map showing the location of the Bay of Biscay — in the North Atlantic Ocean bordering on France and Spain. แหล่งที่มา No machine-readable source provided. Own work assumed (based on copyright claims). ผู้สร้างสรรค์ No machine-readable author provided. NormanEinstein assumed (based on copyright claims).